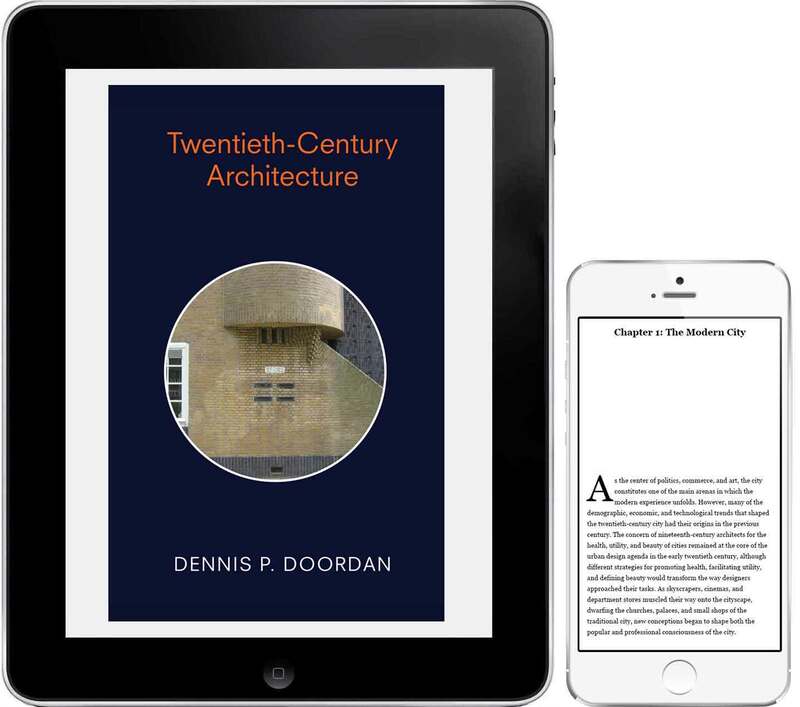 This introductory survey of twentieth- century architecture is divided into three main sections. The first part, “Confronting Modernity,” surveys four discrete domains of professional design activity in the period 1900 – 1940: urban architecture, domestic architecture, the architecture of industry and transportation, and political architecture. This period is described as one of intense debate among architects advocating different approaches such as classicism, modernism, organicism, and craft- based design. The second part, “Modernist Hegemony,” reviews developments during the period 1940 – 1965. During these years, the terms of the debate concerning the character of an appropriate architecture were dramatically revised — and narrowed. It is still a period marked by lively discussion, but the discourse is now predicated almost entirely in terms of modernism and modernist conceptions of appropriate models and design strategies. The third part, “An Era of Pluralism,” covers the years 1965 – 2000. A new consciousness of environmental issues, new scientific paradigms, and critical theories of knowledge called into question the certainties of modernism. This part reviews the spectrum of design movements — postmodernism, deconstructivism, new classicism, “green” architecture, and even a reinvigorated modernism — characteristic of the last decades of the twentieth century. Dennis Doordan is an architectural historian, critic, museum consultant and co- editor of the journal Design Issues. He is on the faculty of the School of Architecture at the University of Notre Dame and has published books and articles on a wide variety of topics dealing with twentieth century architecture and design.